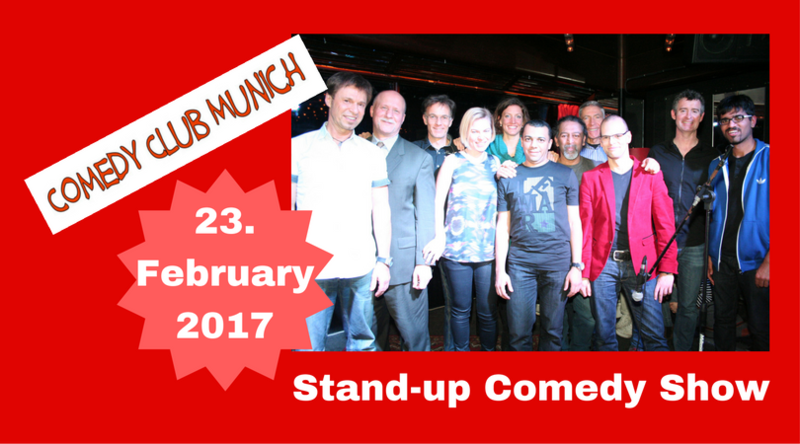 Comedy Club Munich welcomes you to the new show. All comedians have used the last few weeks to create new programs to entertain you. You can expect a completely new program. You will see well-known comedians on stage. You will enjoy a completely new show. We want to entertain you and make you laugh! We have invited well-known comedians who present their brand new programs. We promise good entertainment! Laugh with us! There are no reserved seats. You will be served meals and drinks at your table. Our shows are always presented in German and English. Each show has a completely new program and is thus unique. It is a mixed show. Each comic will have 5-10 minutes. And then there is another comedian on stage. So it is always exciting. The comedians come from different countries and bringing the humor from their cultures. We have both male and female comics on stage. We welcome open-minded and friendly guests who are English and/or German and are looking for a good time. You buy drinks before the show, during the breaks, and again after the show. We have a friendly Comedy Club atmosphere where everyone can laugh and have a good time. 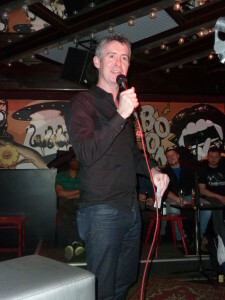 Mel Kelly delivers Irish humour in both German and English. He understands German humour sometimes, and the Germans understand him even less. Sometimes he even wears Lederhosen on stage! 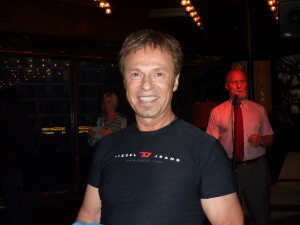 He is a co-founder of the Comedy Club Munich and has now done Stand-up comedy in Sweden, Czech Republic and Germany. He has also won many European Humourous Speech Contests in English and in German. Sein Publikum liebt seine humorvollen schrägen Geschichten mit Tiefgang und vielen Pointen. „Die wunderbare Welt der Psychopathen" oder „ Im Flugzeug“ sind nur 2 seiner bekannten Auftritte im Comedy Club Munich. Dort zündet er in seinen Moderationen ein Feuerwerk an Witzen und bringt gern so manchen Zuschauer in den ersten Reihen auch mal ins Schwitzen…. Buy your ticket for our next show!